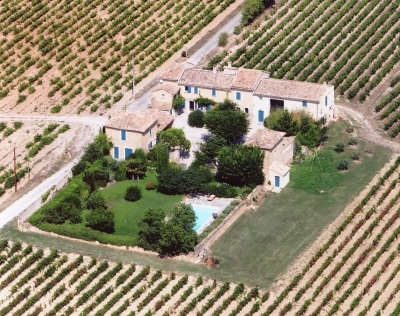 Combine a visit to the Vaucluse with enlarging your knowledge of various wine grape varieties and wine styles as well as your wine tasting skills by concentrating the mind in a well-structured wine course designed by a professional organization for which you will be receive certification. In your late afternoons and evenings, round out your days by visits to local wineries, wine bars / restaurants and touring the small villages and countryside, or the splendor of Avignon. 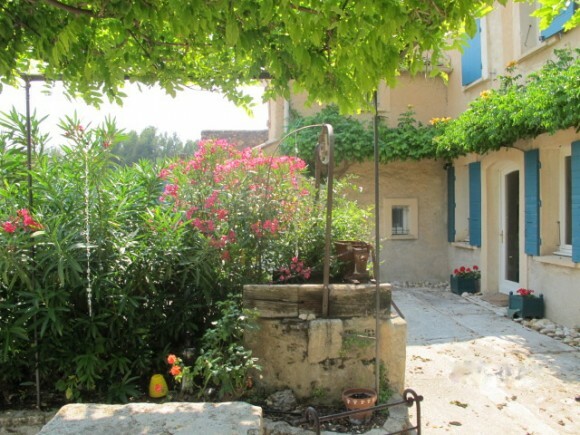 Book additional time at the Auberge or in the region for exploring the Luberon, Aix-en-Provence and Marseille. The Auberge du Vin offers wine courses ranging from half-day sessions on Rhone Valley wines to WSET (Wine and Spirits Education Trust) multi-level qualifications. The Auberge has a converted French farmhouse and a cottage for lodging guests. The Auberge du Vin is the home of Linda Field and Christopher Hunt, who welcome guests year round for wine holidays and wine courses. Linda, a WSET-qualified wine teacher, has taught wine courses and judged wine competitions in London. 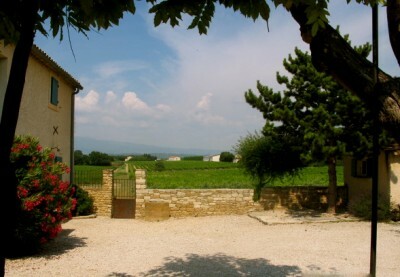 The courses are conducted in a dedicated-classroom setting with views of vineyards and the majestic Mont Ventoux. 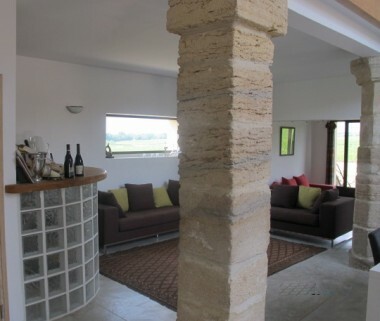 Couches and a tasting bar make for a convivial atmosphere. For the WSET Level 2 course on November 21-25, the Auberge is offering a discount on accommodations: either no single person supplement or a 25% discount on shared accommodation with registration by October 25. The schedule for spring classes is listed below. The Wine and Spirits Education Trust is a global organization that promotes high quality education and offers sought after qualifications in wines and spirits. See www.wsetglobal.com. The WSET qualifications are recognized throughout the world. For those who want to hone and refine a basic knowledge of wines, one can begin the WSET ladder at Level 2. This course is appropriate for wine enthusiasts who want to learn more about how wine is made and the key wines and spirits of the world. A Systematic Approach to Tasting is taught and applied to over forty different wines assessed over the 3 days. The course covers major wine grape varieties, style of wines, and wine label terminology, with a one-hour examination of 50 multiple choice questions on the last day to validate your certification. 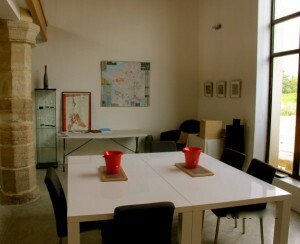 The enrollment fee of 500€ covers 3 days of wine tuition, 3 lunches, all wines, study materials, exam fees, as well as visits to the village of Châteauneuf-du-Pape and a vintner’s wine cellar there. Accommodations with breakfast are available; for four nights, a shared room is 195€. Note: Prices given do not include transportation to/from Auberge du Vin, nor evening meals. Both can be provided on request. Your textbook will be sent to you ahead of the course and it is strongly advised to read the book before commencing the course. Sunday 12 May to Thurs 16 May or Wed 15 May to Sunday 19 May, pending student demand. This entry was posted in Wine and tagged Mazan, Wine, wine instruction. Bookmark the permalink.